 Size : We are Asian size, suggest to choose 1~2 size up or referring to our size chart in product description.  Colour:Navy Red Black Gray ;;; ✪Welcome to our brand shop "Ankola" for more choice on men's sweatshirts.  PERFECTLY SUITBALE FOR - Gym, Running, Workout, Fitness,Training, Jogging, Basketball, Boxing wear and Outdoor living Etc. 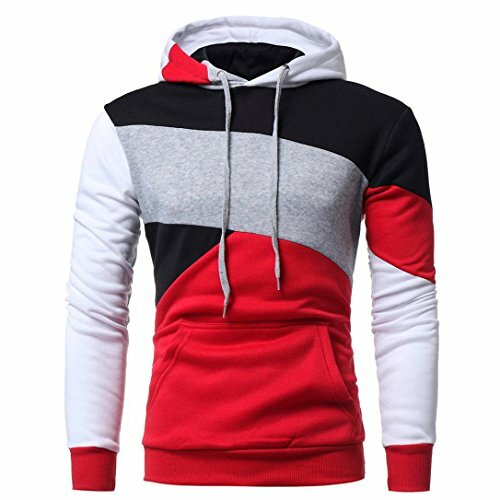 If you have any questions about this product by Ankola-Men's Hoodie, contact us by completing and submitting the form below. If you are looking for a specif part number, please include it with your message.